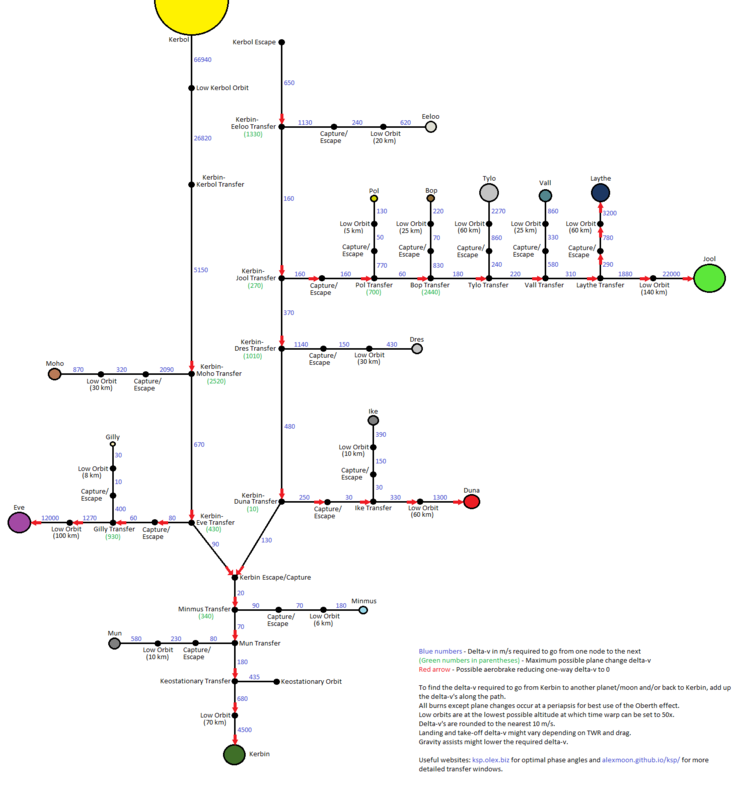 This site is intended to be a repository of Kerbal Space Program cheat-sheets and utilities. See something you think should appear here? Email suggest@kerbalproof.com with your suggestion. Something here belong to you? Email thatsmine@kerbalproof.com so I can give you credit (or if you want it removed). The site is really bare-bones right now since I just threw it up. I'll make it prettier and easier to use soon. The Wiki and The SubReddit, of course. CuriousMetaphor's Delta-V map. More information here. Salaja's engine-fuel graphs. See all three here. More information here. 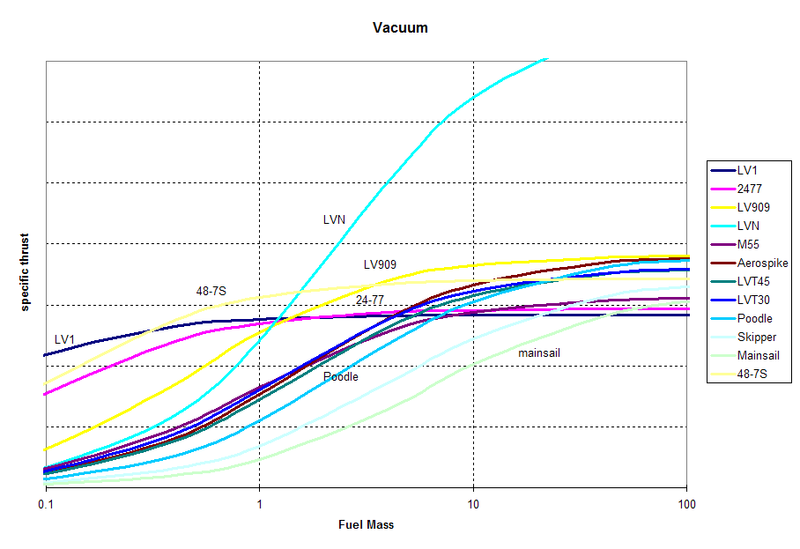 Tavert's engine-fuel graphs (based on Salaja's and updated). See all of them here. Layman's instructions here. More information here. 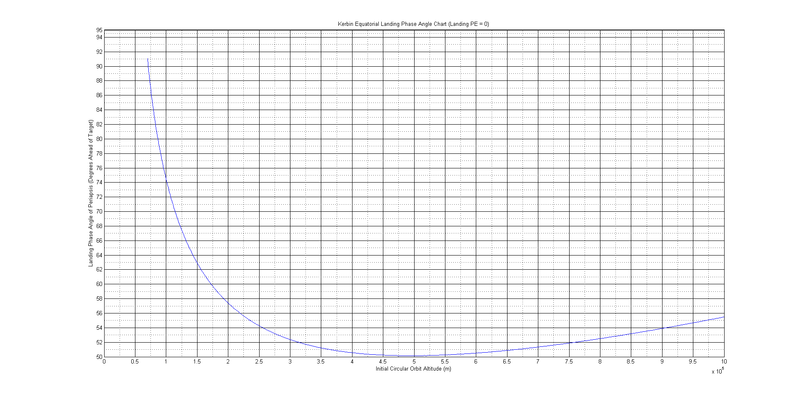 Information on generating these graphs here. 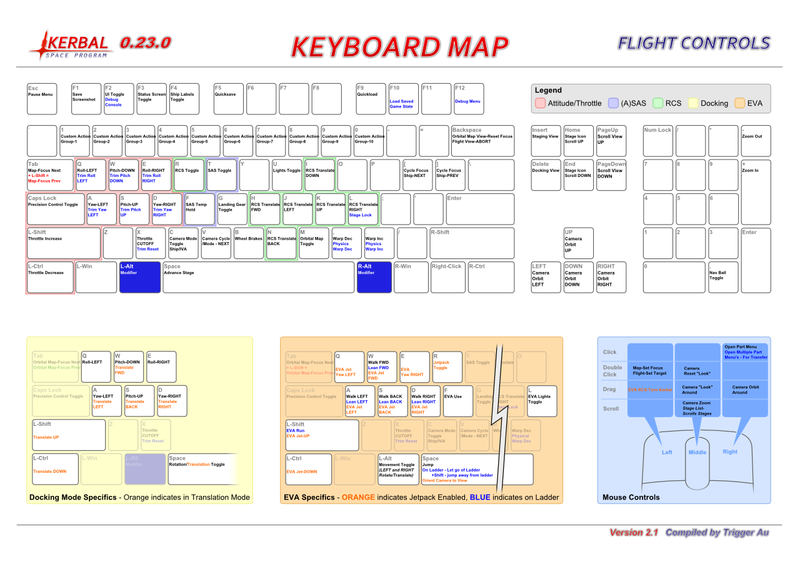 KSP Flight Controls Keyboard Map (as of 0.22) by Trigger Au. High-res and dark versions available here. 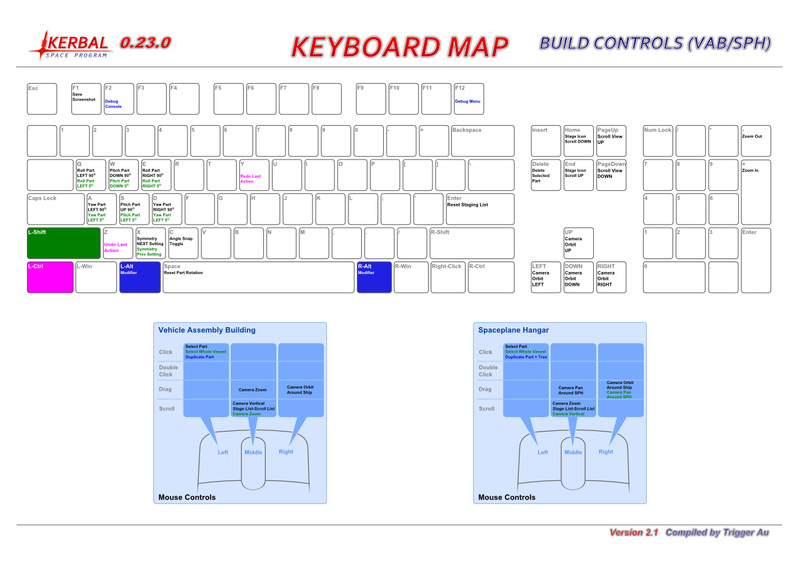 KSP Build Controls Keyboard Map (as of 0.22) by Trigger Au. High-res and dark versions available here. 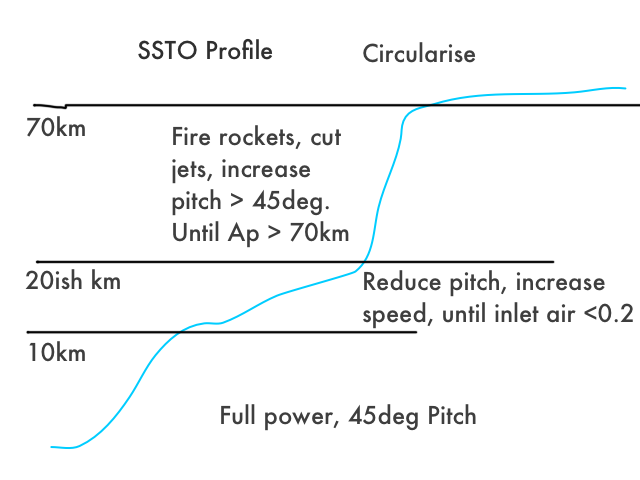 Burkitt's Manned Munar Landing Mission Profile (based on the Apollo chart below). White background version here. 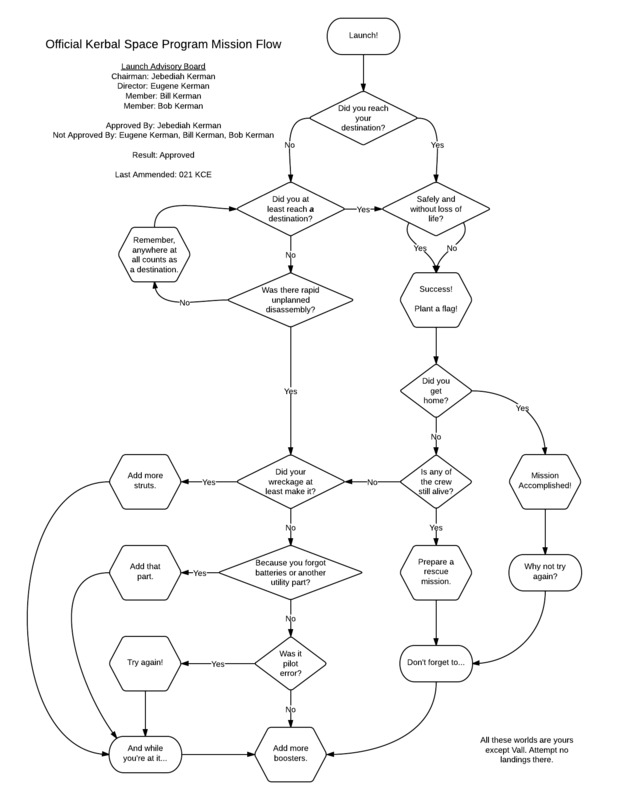 Guide to the Apollo Program Staging. Available as a poster here. alterB's Atmospheric Landing Chart. More information here. Source here. alterB's Multi-Planet Atmospheric Landing Chart. More information here. Shallow re-entry landing and even more information here. alterB's Jool Aerocapture chart. More information here. 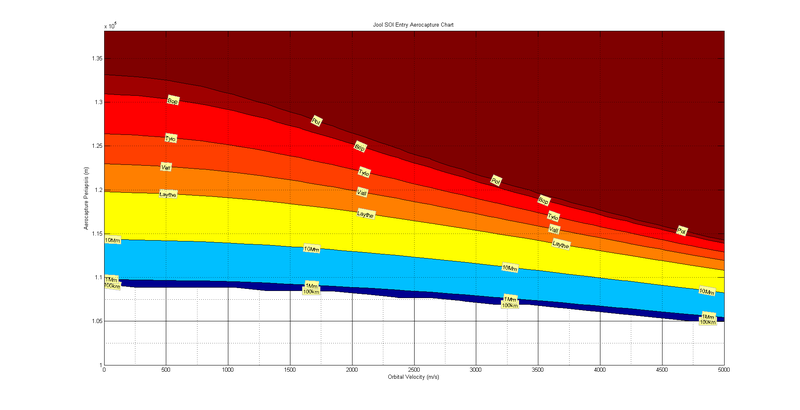 See also the aerobraking calculator. 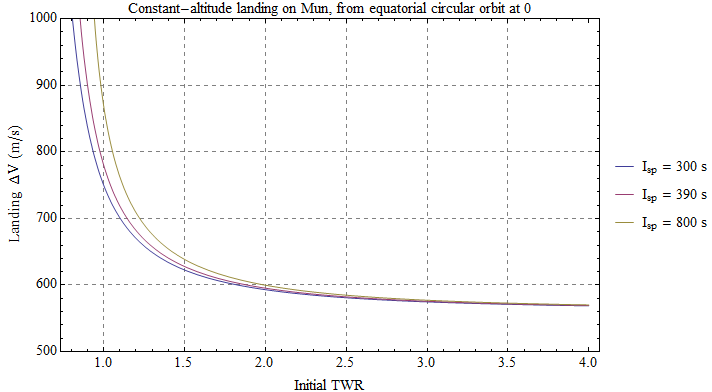 tavert's Landing and Takeoff Delta-V vs TWR and specific impulse charts. 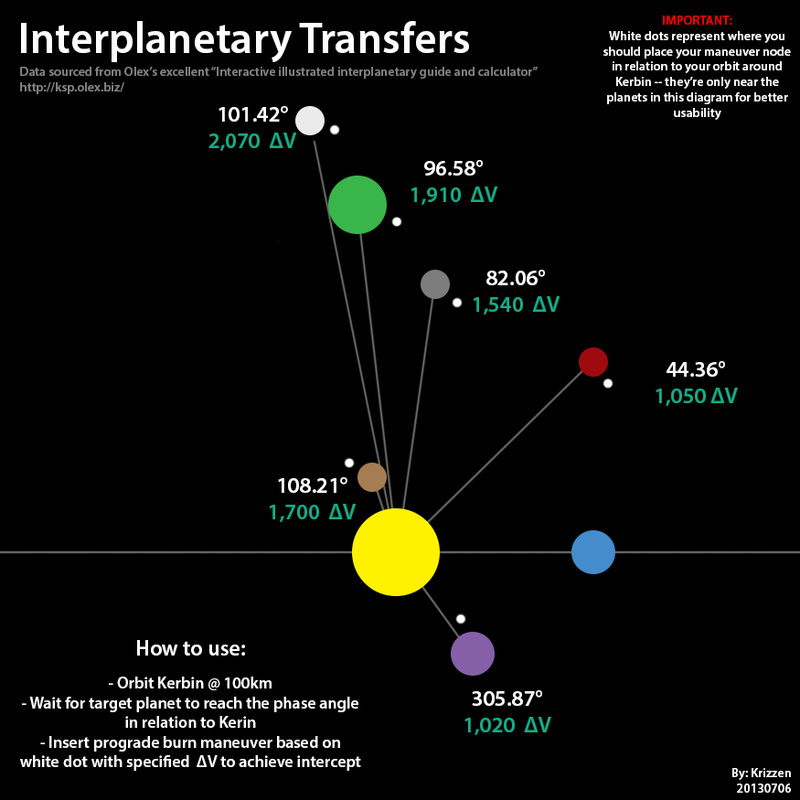 More charts for the other planets here. subhumann's SSTO Ascent Profile. Full Plane/SSTO Guide here. alterbaron's KSC landing chart. More info here. 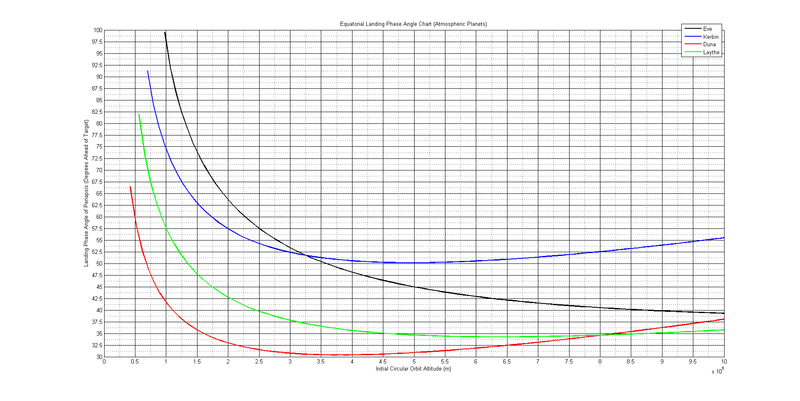 Also see: corpsmoderne's guide to precise KSP landings. 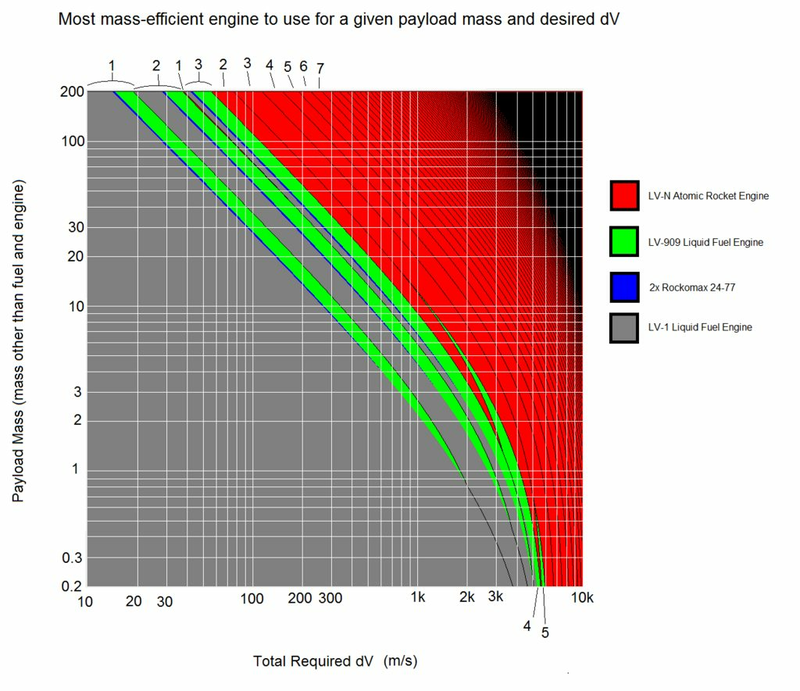 thepseudomonkey's engine data charts -- see all of them here. 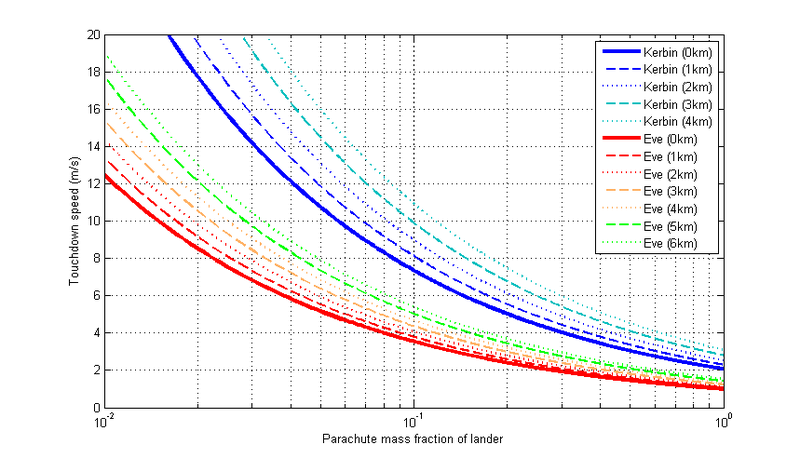 thepseudomonkey's parachute graphs (see both here). All featured content belongs to its appropriate copyright holders. Kerbals, Kerbal Space Program, Squad, and all content associated with or pertaining to KSP and Squad belongs to MONKEY SQUAD, S.A. DE C.V. (Squad). This site is copyright © 2013 Nick Aldwin.